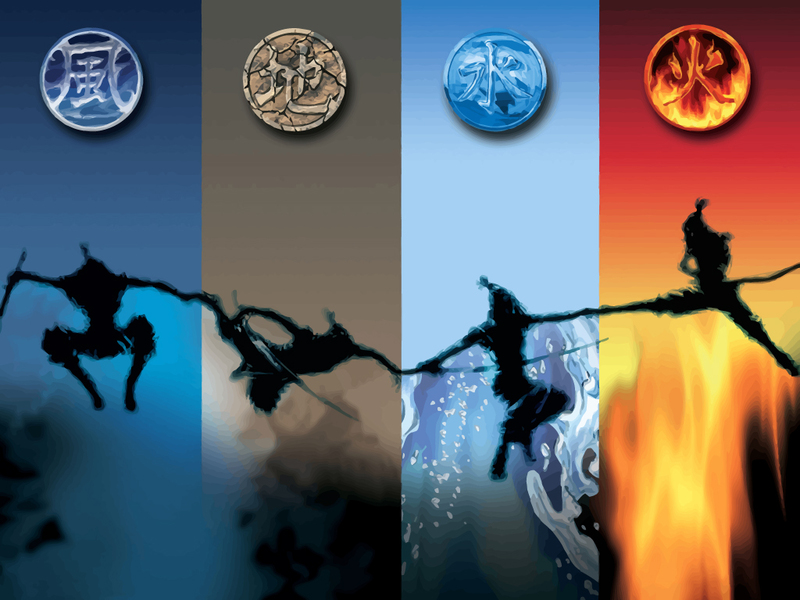 Four elements vector wallpaper. Graphic composition backdrop of the four natural elements: earth, wind, fire and air with mortal combat sword fighter silhouettes and Asian script logo. Free vector wallpaper pack includes 1024x768 resolution JPG, Illustrator EPS and AI file, PDF and SVG. All images are copyright of the respective owners.